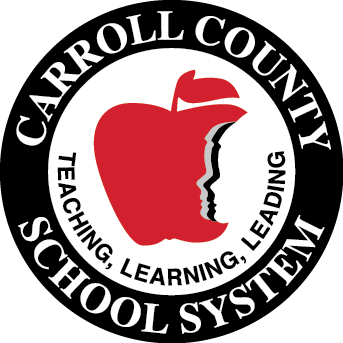 (Carrollton, Ga. - November 28, 2018) Carroll County School System recently held its annual Academic Competitions for middle and high school students at the Carroll County Schools Performing Arts Center. 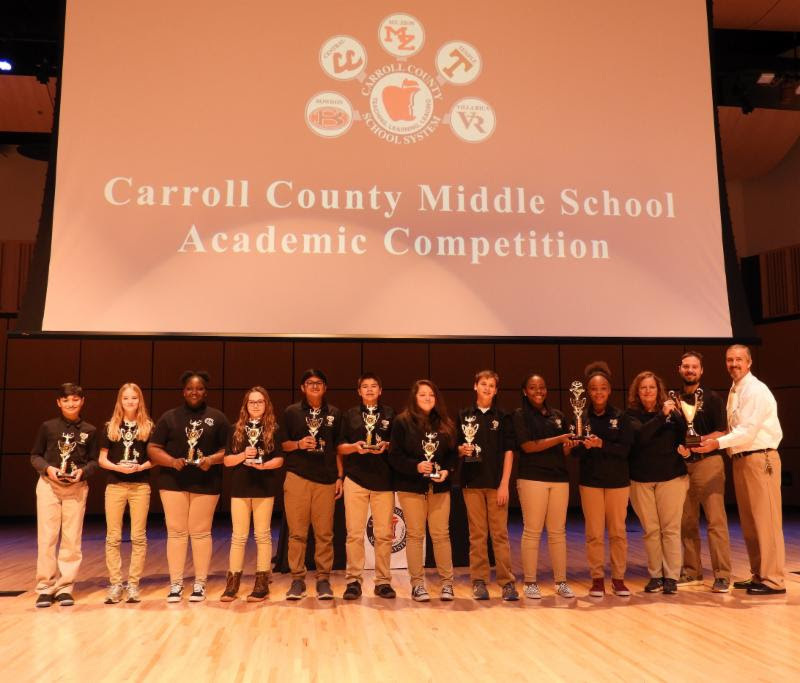 The event began with six middle school teams competing against one another, with Temple Middle School winning first place for the first time, Bowdon Middle School earning second place, and Mount Zion Middle School finishing in third place. The high school competition included teams from all five Carroll County high schools. Central High School won first place for the fourth consecutive year, Villa Rica High School finished in second place, and Temple High School earned third place. "Our Academic Competition is an exciting opportunity for students to showcase their knowledge, teamwork, and competitive skills," said Dr. Travis Thomas, Director of Teaching and Learning Secondary Education and Assessment and Academic Competition Facilitator. "We are very proud of all of the students who competed in the event." Pictured Left to Right: Temple Middle School's First Place Winners- Caleb Daniel, Kirsten Mcpherson, Fatuyamu Drammeh, Sophia Crawford, Aayush Patel, Laythen Pitts, Bella Rogers, Kase Shirley, Madison Swint, Maya Edwards, TMS Academic Team Sponsors, Mrs. Liz Banks and Mr. Eli Miles, and Temple Middle School Assistant Principal, Mr. David Clay.